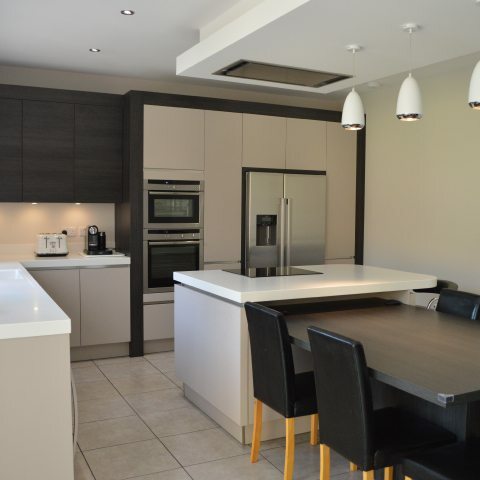 Modern appliances and a sociable kitchen space were key to the design of this new build home. 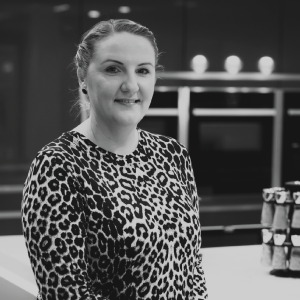 With four new build properties to kit out with the latest designer kitchens, Mayfair & Co Developers LTD, set out to find the perfect kitchen design company for the job. 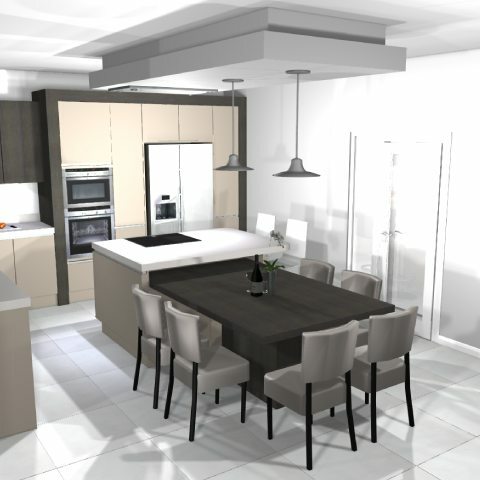 Having browsed a few designs and showrooms, they took an instant liking to Kitchen Design Centre. “When we saw the units that had been designed at the showroom we really liked the look of them,” explains the customer, Director at Mayfair & Co Developers. “What’s more, the service was great. Our designer, Suzanne, took us through all the kitchens and covered every last detail. She was fantastic,” he adds. One kitchen that was extra important to the client was that of his daughter – who would be living in one of the new builds with her partner. They wanted to make sure she had a kitchen that not only reflected the modern charm of her new home, but one that was fully functional and efficient too. While the couple had a good idea of what they wanted the kitchen to achieve, when it came down to the details they were relatively open-minded. “We were guided through such a wide range of kitchens and helped by Suzanne along the way. This made choosing the final kitchen for my daughter relatively simple,” explains the customer. The type of kitchen installed was a traditional Hacker kitchen, of German design. Extra style and modern touches were also infused with a modern handle-less design, creating smooth and sleek lines. The materials used to create the look were smooth cashmere, for the cabinet doors, textured terra oak, which also featured on the cabinets, and 60mm thick corian for the worktops, in a bright and crisp glacier white. While the final design of the kitchen was pretty spectacular, so were the features and appliances. With a huge space to play with, Mayfair & Co Developers LTD were keen to make the most of the kitchen, making sure it could be utilised as a social space too. 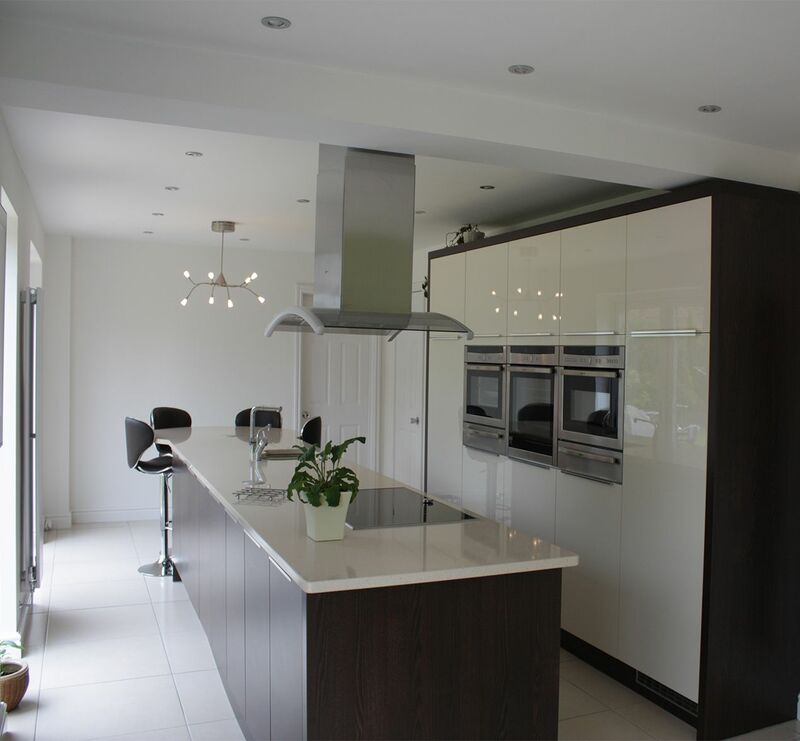 “We didn’t want a dining room and wanted something more open plan instead,” explains the customer. “It was important that the layout of the kitchen was just right and one thing flowed from another,” he adds. Innovative features included an attached table to seat six, along with a breakfast bar for two, encouraging a feel of togetherness in the kitchen space. Detail was also added to the ceiling to mirror the kitchen island that featured prominently in the new kitchen. The client also opted for taller units to complement the high ceilings. Top-of-the-range appliances finished off the kitchen design, and as always, the client choose Neff. “We’ve always had Neff products and would recommend them to everyone. We made sure to implement as many as we could so my daughter would have access to a whole range of appliances she’d never had before,” explains the customer. Their Neff appliances included a dishwasher, Circo Steam & Single Oven, fridge freezer, induction hob and flush mount ceiling extractor. 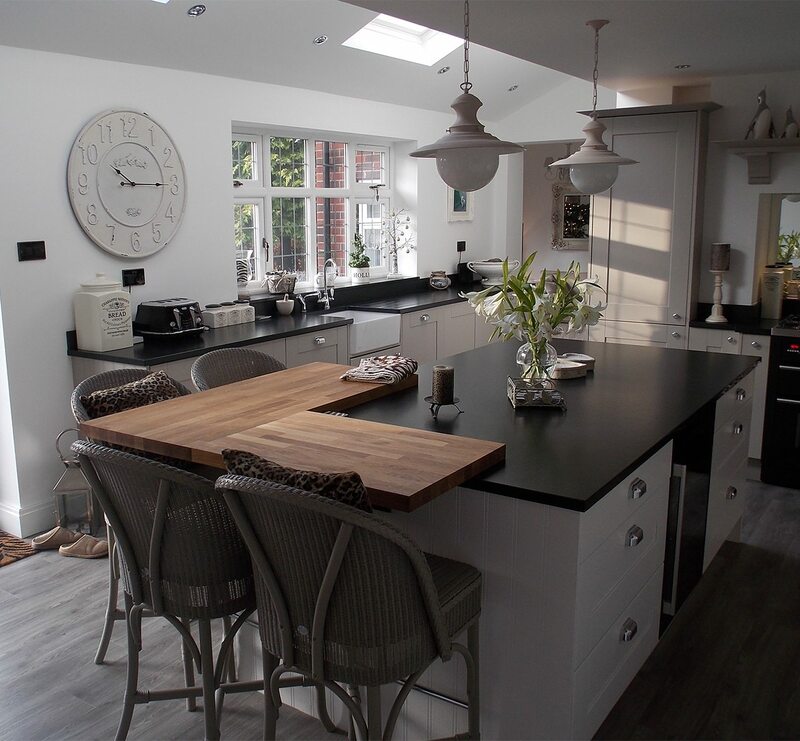 "We’re so happy with the final kitchen – it has real wow-factor!" 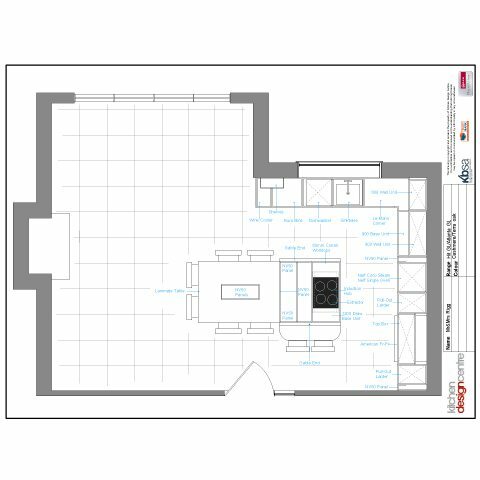 "We offered a full design service for all four kitchens at this plot. 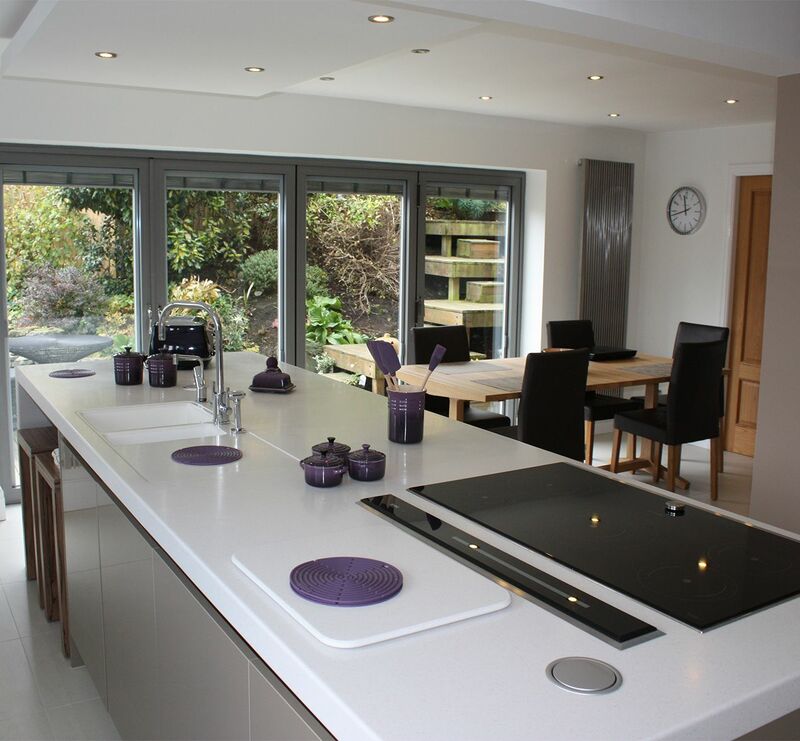 This was the first kitchen to be installed and was a really enjoyable project to work on. It was modern and social – just what today’s designer kitchen should be. We supplied and installed the kitchen and utility room and built the ceiling detail. I spent quite a bit of time with the client over the months and they now feel like family friends."